It was a busy month after leaving La Paz, an impending flight from Cartagena to the US on the 22nd of April for Austin Psych Fest forcing me to travel a lot quicker than usual. First up were a couple of days on Isla del Sol in Lake Titicaca – a place that I can’t recommend enough. 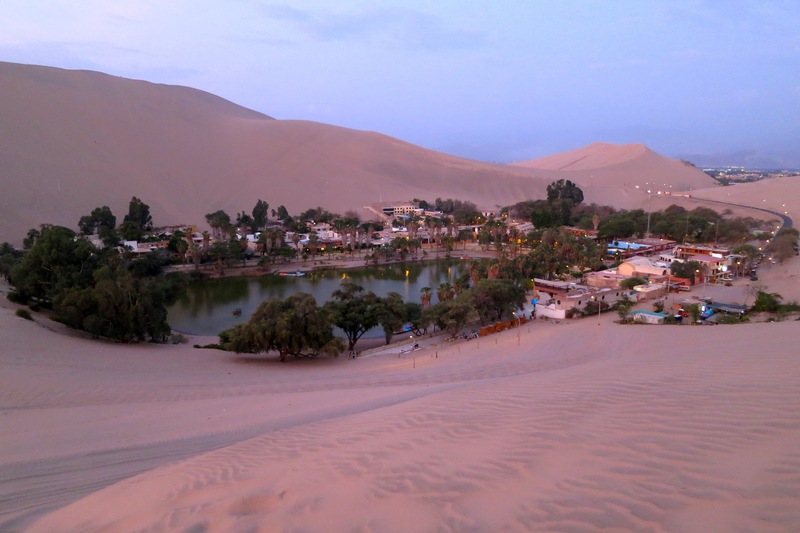 Other highlights include (the very obvious) Machu Picchu and Huacachina, an oasis in the middle of some huge sand dunes. My sand boarding left a lot to be desired, but the mental dune buggy ride was worth the $16.50 AUD alone. Lima also surprised after some less than promising reviews, although an early morning email to cancel a microbrewery visit was pretty disappointing after two weeks without a craft beer (please disregard the fact that I’d been sick for a few days and really didn’t need a beer at 8am). A short stop in Mancora en route to Ecuador was followed by a couple of pretty ordinary bus trips before chilling out for a few days on the coast in Canoa. Quito was the next capital to surprise, as I’d heard that the only thing to do there was get robbed of your belongings. Some decent nightlife, a trip on the teleferico and the views from the basilica proved this to be simply hearsay. Medellin was the next city of note and finally presented a chance to get hold of some craft beer after three out of four days on buses to get there. 3 Cordilleras has been operating for around four and a half years and is named after the three mountain ranges in Colombia (Cordillera Central, Cordillera Oriental and Cordillera Occidental). 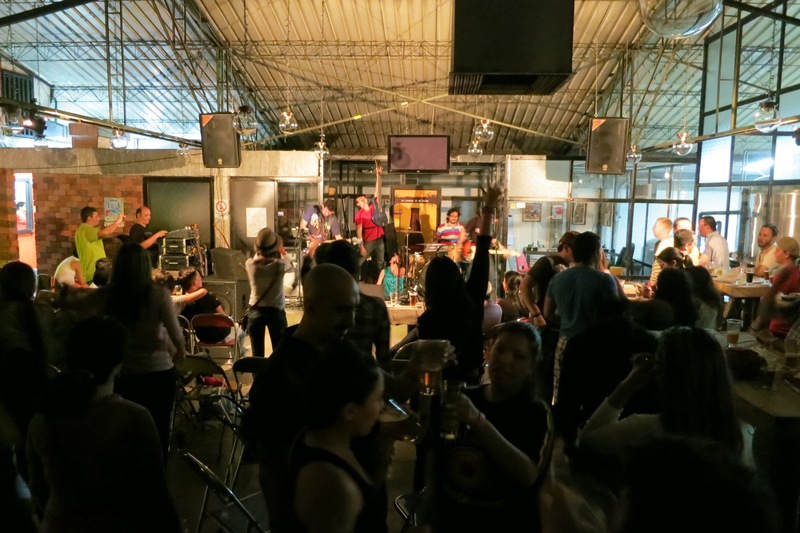 We were lucky enough to be in Medellin on the first Friday of the month, when 3 Cordilleras holds a rock concert at their brewery, along with a tour of their premises. They also stage regular concerts on the third Friday and last Thursday of each month, as well as tours every Thursday evening from 17:30-21:00. There is an entrance fee for each event, but it works out to be pretty good value as it includes a few beers. We met with Isaac on arrival, who is now the Marketing Manager, but has held many roles at the brewery, including bottle-cleaner and translator for the first Brew Master, who was from the US. 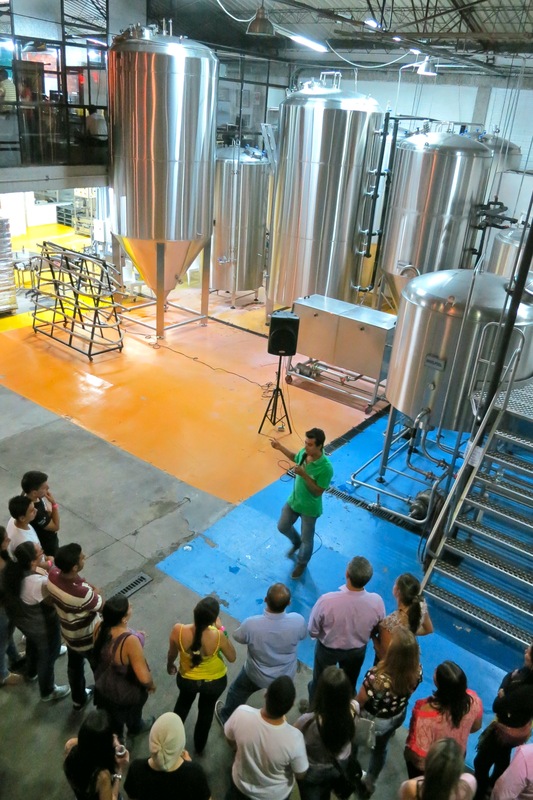 He told us that 3 Cordilleras is available in six different cities in Colombia and the brewery is currently producing around 32,000 litres per month, operating at around 50% capacity. Isaac also mentioned that their marketing strategy is based around face-to-face interaction and social media, rather than through traditional media such as TV and radio. We spotted 3 Cordilleras in many places around Medellin during our five days there, including hostels, supermarkets and convenience stores, so it looks like it has been a pretty successful approach! 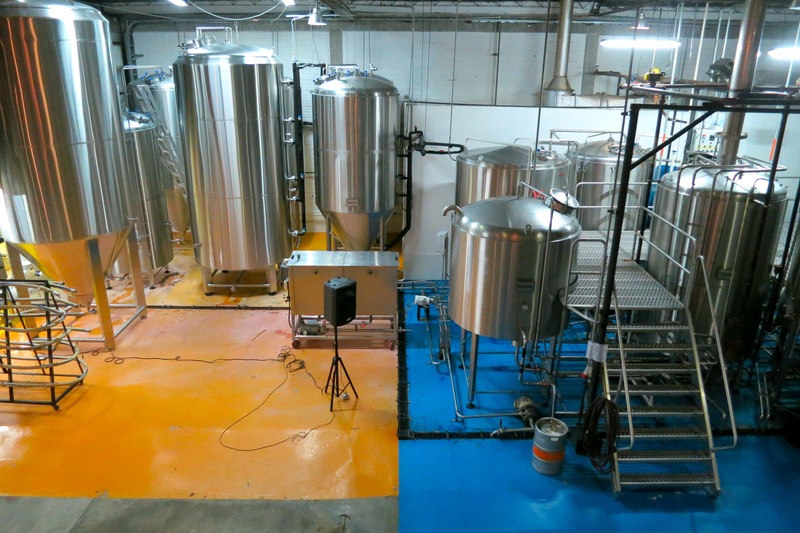 The brewery produces five regular beers and a seasonal, which goes by the name of 6.47 Especial, regardless of the style of beer – the colour of the label changes however, in an inventive way of getting around the registration fee for each new product. Each of the seasonal beers are characterised by an alcohol level of 6.47% and a Dark Strong Ale was on offer when we were in town. Past styles have included an IPA, English Sweet Stout and Belgian Saison. Four out of their five regular beers are named after various ethnic groups in Colombia – Blanca (American Wheat Ale), Mulata (Amber Ale), Mestiza (APA) and Negra (Stout). The fifth beer is the Rosé, which includes strawberries, blueberries and cranberries in the brewing process.